Notes: Hood's first season in Los Angeles he batted a team-high .340 and was named the Angels' Most Valuable Player. In 1925, the outfielder ranked in the top-ten of several PCL offensive categories, including third in triples (17) and fifth in total bases (418). The World War I veteran spent three seasons in the major leagues with the Brooklyn Robins and Pittsburgh Pirates, accumulating 19 hits and 23 runs in 67 games. 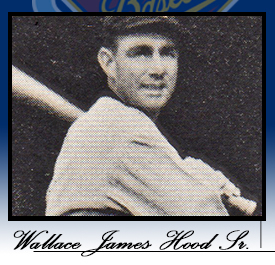 After his playing career ended, Hood returned to the PCL as an umpire from 1935-43.